Many of us are familiar with the Jehovah’s witnesses and Mormons, for their door-to-door ministry. We may even have interacted with them in our homes, on the streets, and in other venues. 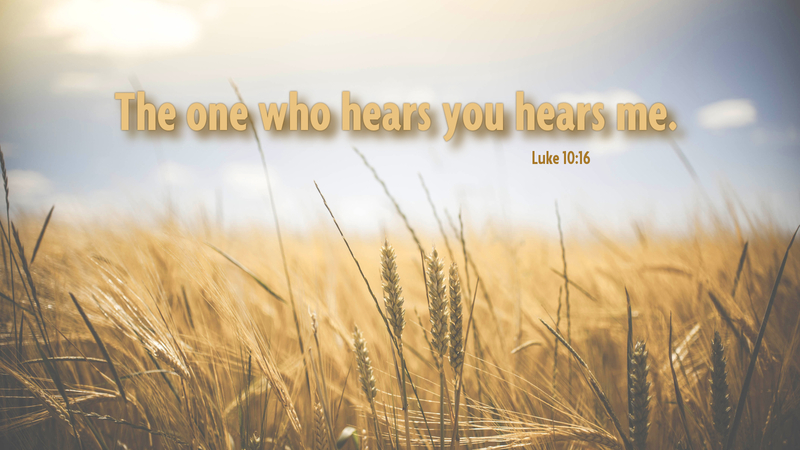 While their teachings, especially on the Holy Trinity, Christ, and salvation, differ from what Christianity teaches on these subjects, they seem to take seriously the commissioning of the disciples in Luke 10:1-17. They remind us that we all are called and sent by the Lord Jesus Christ to share the gospel. In the commissioning of the seventy-two disciples, the Lord Jesus says that the harvest is plentiful, but the workers are few. Two thousand years after Christ spoke these words, they still find a fresh expression in our society and in the world. We are blessed to be in a nation in which the gospel has been proclaimed, yet we decry the alarming rate of the unchurched. In many nations of the world there are still groups of people who have not heard the saving gospel. Through the commissioning of the seventy-two, the Lord Jesus reminds each one of the baptized, that he has commissioned us to reach out to our relatives, neighbors, and people in distant lands, to share the gospel with them. He reminds us that sharing the gospel is every Christian’s job. Prayer: Lord Jesus Christ, you who sent the seventy-two disciples to share the gospel, set my heart on fire with the desire and willingness to bear witness to the saving gospel wherever you lead me. Amen.